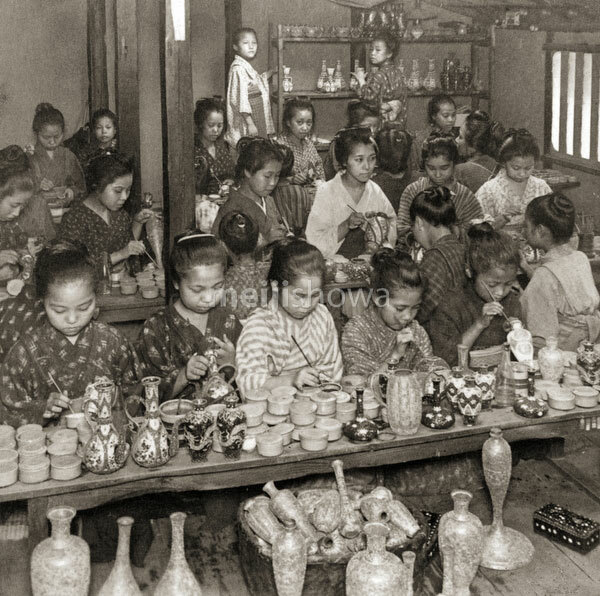 Young girls at a pottery workshop in Kyoto decorating cheap pottery for export. Ca. 1904.